He was cleared of 31 charges last year. Sen. Mike Duffy leaves the courthouse after being cleared of bribery and fraud charges in Ottawa on April 21, 2016. OTTAWA — Sen. Mike Duffy is suing the Senate and the RCMP for the way they handled accusations about his expenses, seeking more than $7.8 million for loss of income and benefits and damage to his reputation. "My civil action raises questions which go to the heart of our democracy," he said. "If this action succeeds in bringing charter protections to all who work on Parliament Hill, this will be my greatest contribution to public life." The Prince Edward Island senator landed in trouble with the Senate in late 2012 when questions were first raised about housing expenses claimed against a home he had lived in for years before he was appointed to the Senate. The senators suspended him without pay for almost two years and in 2014 the RCMP filed 31 charges of fraud, breach of trust and bribery against him. In April of last year, Duffy was acquitted on all counts. Sen. Mike Duffy leaves the courthouse after being acquitted on all charges on April 21, 2016 in Ottawa. Ontario Court Justice Charles Vaillancourt said Duffy's actions weren't criminal, even if they raised eyebrows. Soon after, Duffy returned to Parliament Hill. 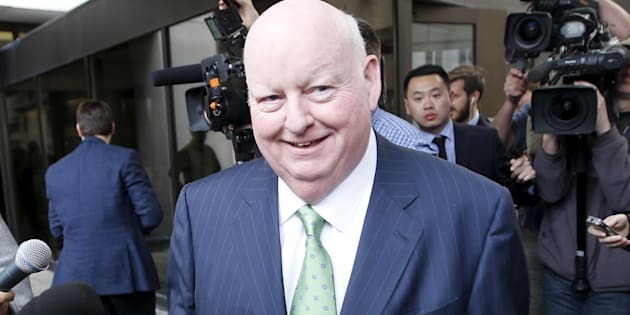 Duffy's lawyer, Lawrence Greenspon, said the Senate overstepped its bounds when it took the unprecedented step to suspend Duffy. Greenspon said the decision was tantamount to an expulsion. The Senate must now file a statement of defence to respond to Duffy's claims as part of a legal process that could take from two to five years, depending on whether the case goes to trial or settles out of court. The Senate's interim law clerk Jacqueline Kuehl said the upper chamber will not be commenting on the case until it is appropriate to do so. "As this is a matter before the courts, we will respect the process," she said.